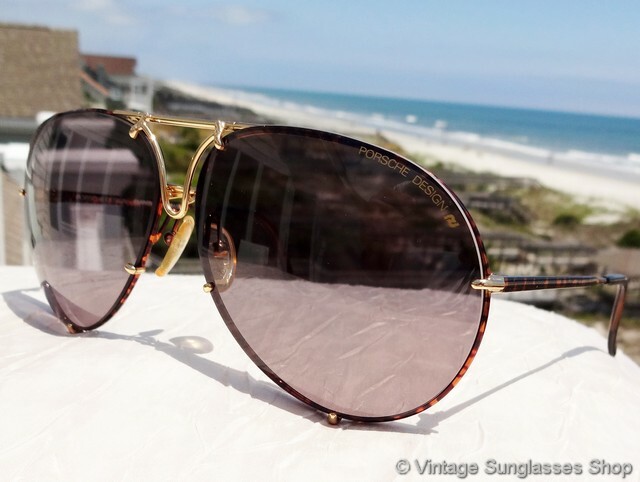 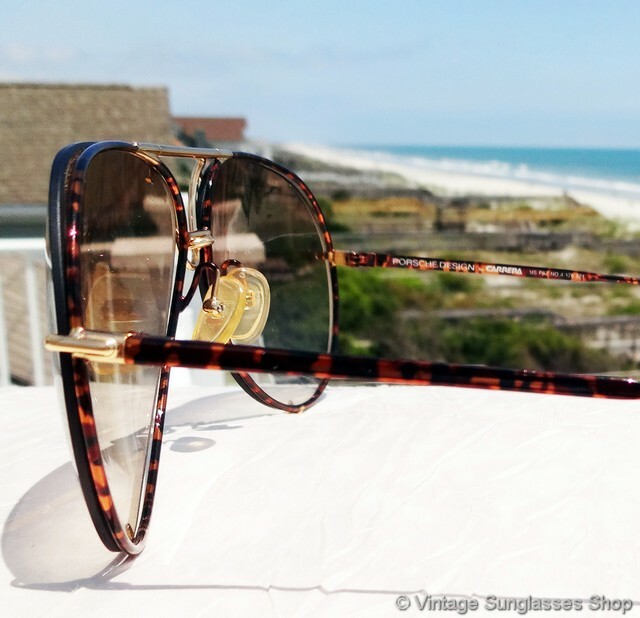 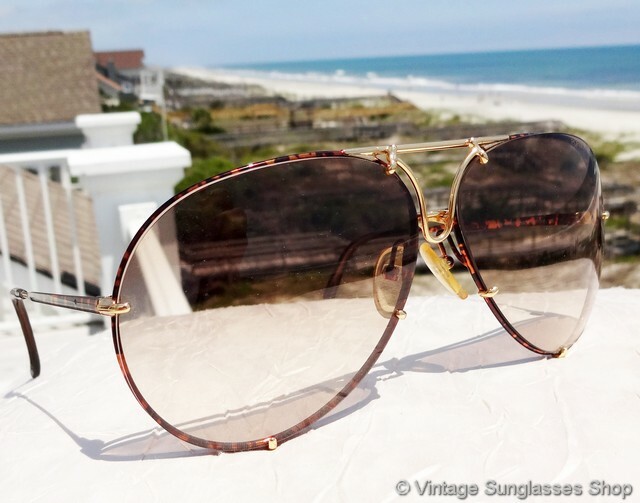 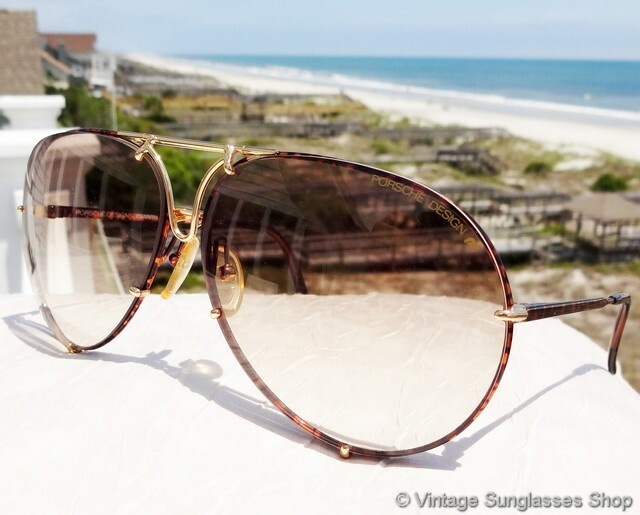 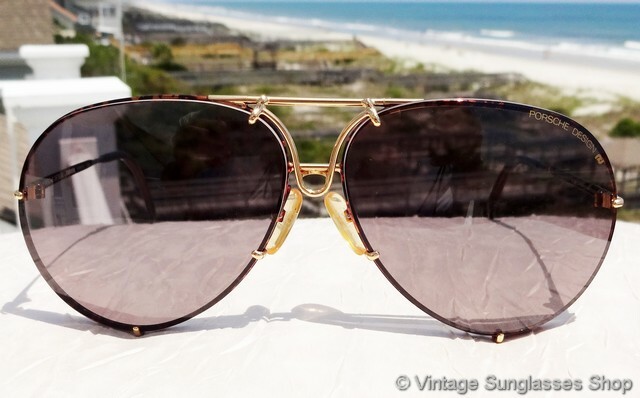 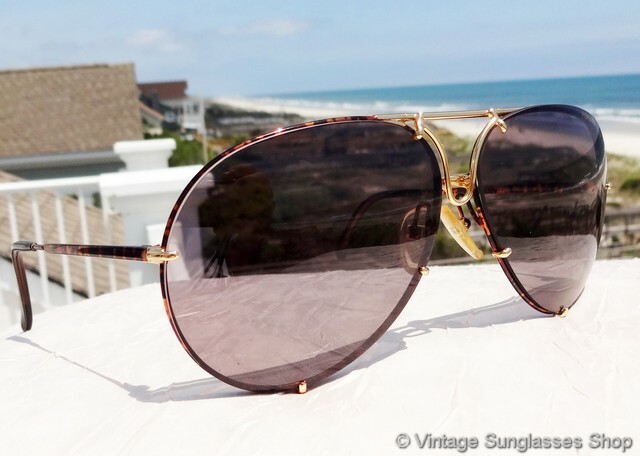 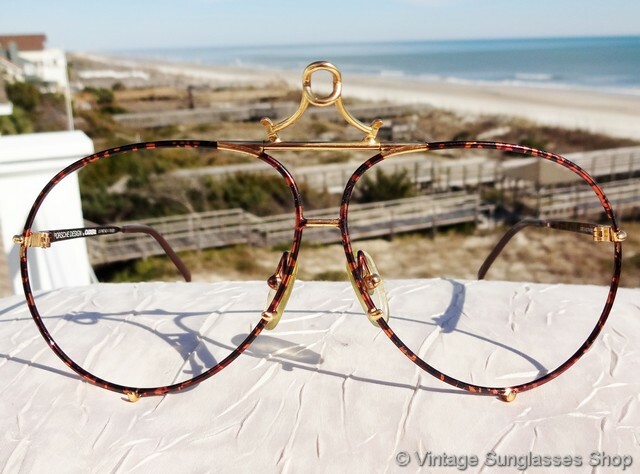 Vintage Carrera Porsche Design 5621 47 sunglasses feature the rare Austrian tortoise shell frame that adds plenty of design flair to the classic Carrera Porsche Design style and is extremely hard to find. 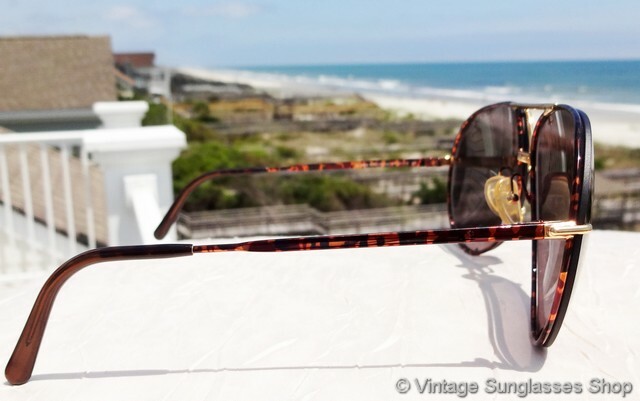 The thin tortoise frame really enhances the look of the interchangeable Carrera Porsche Design lenses which include brown gradient and smoke gray and measure approximately 2.675" x 2.125" at the widest point. 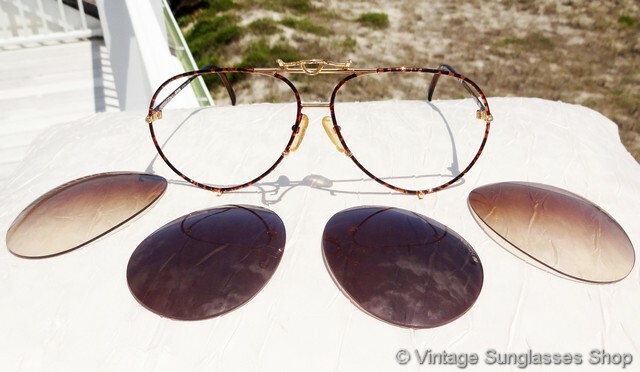 The spare lenses are stored in a felt pouch inside the included black hard sided Carrera case, and the center hinge lifts to allow lenses to be removed and replaced into small prongs set in the Austrian metal frame. 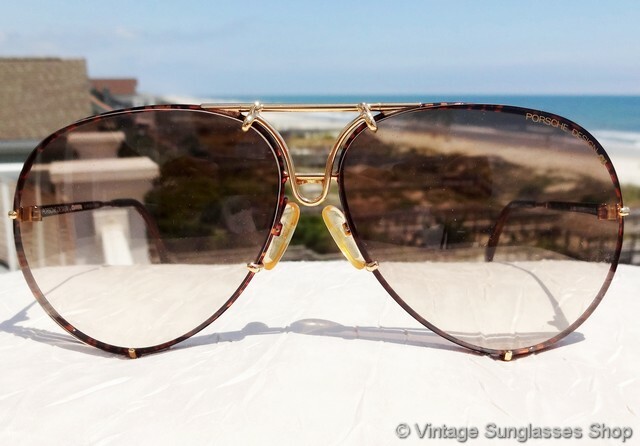 Each set of lenses is marked Porsche Design along with the PD logo, while the inside of one ear stem is marked Porsche Design by Carrera with the US patent number and the other stem is marked Made in Austria 5621 47 135 along with the serial number impressed in the metal. 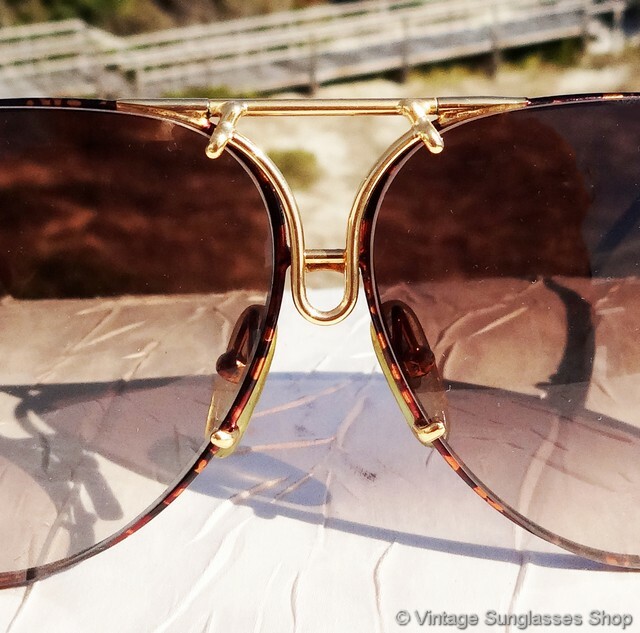 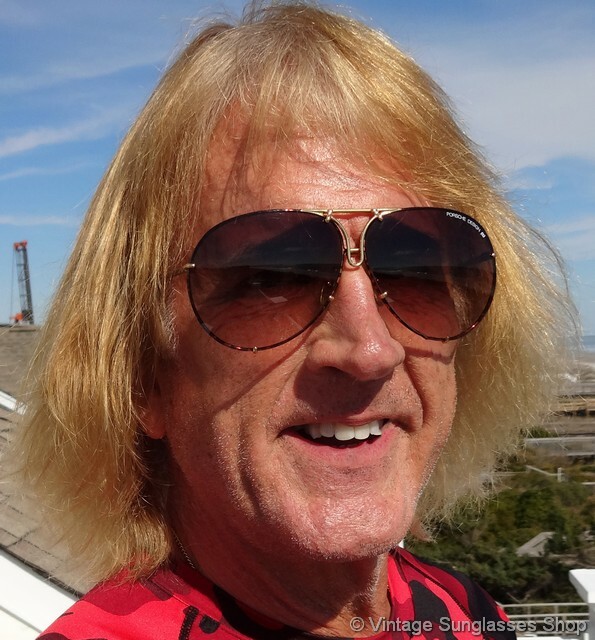 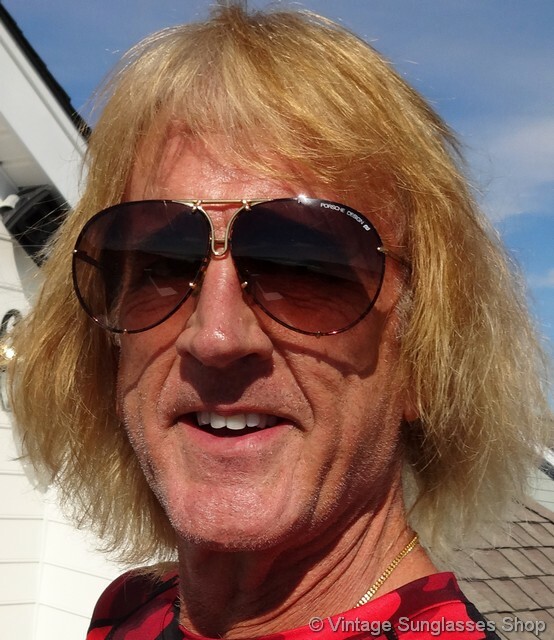 Rare color combination, direct from a Malibu, CA collector of vintage designer sunglasses with whom we've had a 15 year relationship. 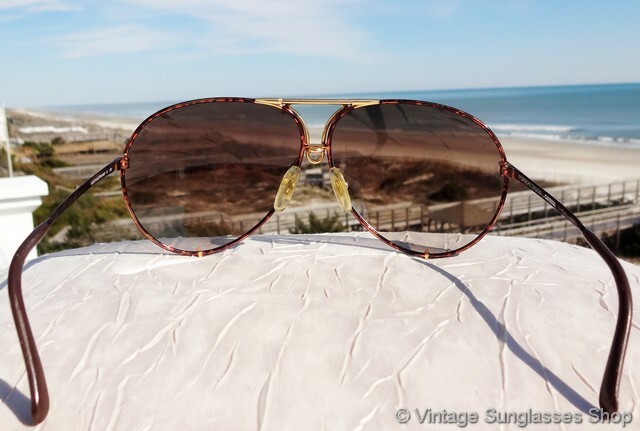 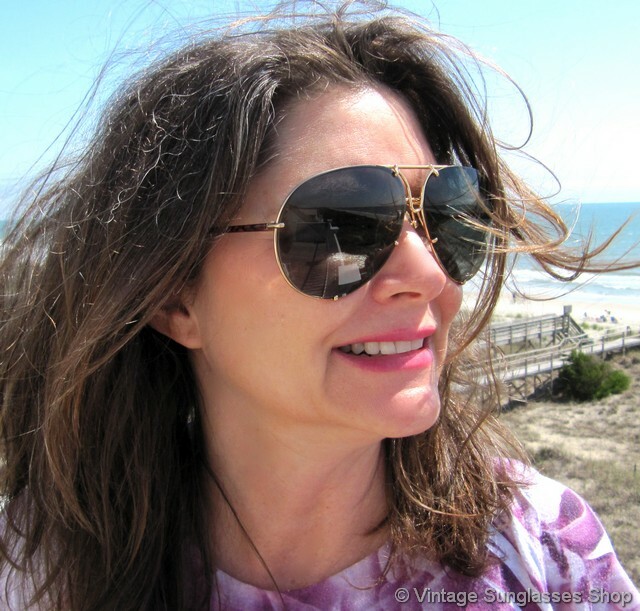 If these are sold out, check out identical in appearance but just 0.125" smaller Carrera Porsche Design 5623 47 sunglasses, and thanks for visiting and shopping at the Vintage Sunglasses Shop!